SPEAKS TO ANGELS - PREDICTIONS - DIRECTIONS!! Dilani has inherited the "gift of sight" from her grandmother. From a very early age, she was able to hear and channel her guide. She has also the gift of visions and can see and pick up on your aura. She is a kind reader and will always come from a place of no- judgment.She is warm and compassionate and will understand your situation whatever it may be. We are all co- creators of our lives journey. and so how we handle our path has a direct influence over our predictions. She enjoys helping others to try to get a better idea of what may be going on in their lives and what may happen in the future. Remember no matter what kind of reading you get, the ultimate outcome is a result of you guiding your own destiny, so handling your path is an important detail in your reading. Dilani can also tap into the feelings of others around you. Their intention with you and how they intertwine in your journey. Or how they feel about you. We all share a divine journey and Dilani has great faith in God and his angels. She believes in true love and healing. Hate only breaks us apart and each day she helps many to get to feeling better with the help of spirit. Prayer is a powerful factor in her life and she encourages many to use their faith to bring about many a miracle. She will help you to be grounded and feel the Power of the Spirit within you. No prediction is set in stone. You have created some of this future and you have the power to change it according to your heart's desire. However, if you handle your heart will your journey into the world of love can have many possibilities. Thank you for letting Dilani Help you today and she looks forward to chatting with you soon. 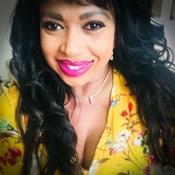 Dilani Diva is a Spiritual Medium, who uses her angel Guide to bring you clarity, truth, guidance, and predictions.She uses her intuitive powers to give you guidance and can also use cards, for those who enjoy such tools. For over a decade Dilani has helped many clients who have crossed her path. Her journey is to help you get the best possible help through the spirit.The more clear and precise you are with your question the stronger your answers will be. Most of us come with burdens sometimes too hard to bear. She can help you with any area of your life. Your journey is an important one and the most important factor is the peace that lies within you. Dilani specializes in love and relationship guidance. If you have any questions about your love. Do not feel afraid to ask.If you are looking for answers about your lover or your past lover be open and she will be happy to help. She hopes that with your clarity you will leave in a better place and with guided tools that would help you navigate your journey well. We are all spiritual and wonderful people and she is always grateful for the ability to be of assistance to you. Thank you for visiting and hope you hear from you soon. As usual she was quick and precise. My only disappointment was that her background was very loud and noisy. What is he/she thinking ? Is my lover coming back to me ? What can I do to help their return ? Where is this relationship heading ? How can we make this marriage work ? Is he / she cheating on me ? PLEASE DON'T CALL ME TO TEST ME. MY GUIDE WILL NOT RESPOND TO YOU . It is always nice to know your thoughts. Please take the time to rate your call and leave me some feedback. Thank you for choosing me as your advisor today. May God bless you and keep you safe always. All readings are for your entertainment. I am not responsible for any interpretation made or used by the recipient of the information. Dilani Diva has been a user of Keen since 2003. 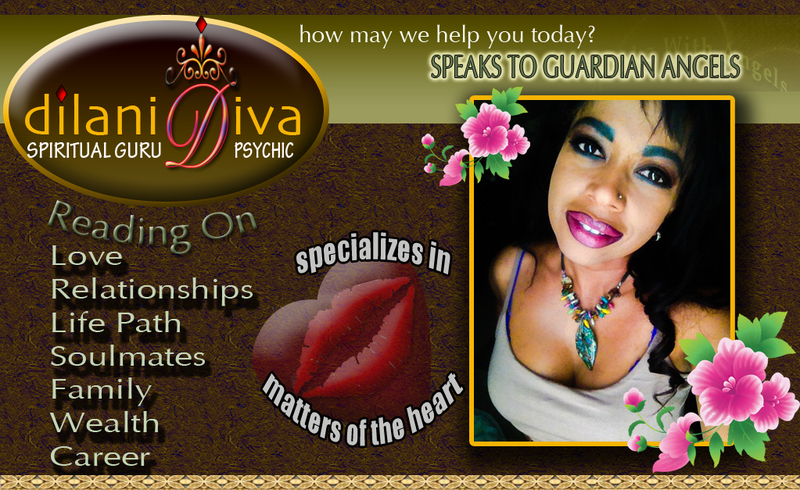 Getting Love & Relationships advice from Dilani Diva through www.keen.com is safe, secure and confidential.